Apple has always shown its best results in Quarter 4, but the transition to the new year will be a landmark in the Mac’s history as millions of switchers will purchase their first Mac and current Mac users purchase another system for the holiday season. MacBooks and MacBook Pros have seen an extraordinarily strong demand this past year thanks to its incredible performance, stunning display and design, and compatibility with Windows XP and Microsoft Office. Apple’s switch to Intel processors have made Macs far more competitive in price and performance compared to PC alternatives. Where would Apple be now if they had stuck with the PowerPC architecture? Would we have seen a PowerBook G5 or an sexier iBook? 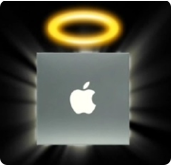 Would there still be a growing demand for Macs as the iPod halo starts to glow and Apple markets their products? Apple’s bold move to move over to the Intel camp was risky, but it would have been one of Apple’s biggest mistakes to have continued to produce more PowerPC machines. It won’t be long until more PC users switch when they start to see more and more Macs around. It will just take some time before the majority of consumers realize you can run Microsoft Office on Macs, you can play video games on your Mac, and you can run any Windows program on your Mac. Don’t forget MacWorld 2007 is around the corner and new products are bound to be released, including the infamous iTV (code-name, official name not released). The release of a new ultra-portable Macintosh is one of many rumors for the great event, and such a product could be the missing link between an iPod and Macs. A revolutionary product like an ultra-portable Mac could start a new progressive growth in Apple’s market share. I’d be buying my 1st Mac as well…cept i kow Leopard’x ocming out next year…gonna wait til then for the latest stufff when it comes out…and iLife/iWork ’07!!! I’VE BEEN PREACHING THIS SINCE 1985. NOW I CAN SAY,,’I TOLD YOU SO! :~) Thank You Steve Jobs. I cant wait for i-TV WOW!